The Australian economy has enjoyed 3 decades of steady growth, but many Australians aren’t reaping the benefits. Wages have not kept up with growth, and what growth there has been only served to widen the gap between minimum and median wages. Today, Australian minimum wage earners receive just 55 per cent of the median wage, as opposed to 70 per cent in 1983. Last month, the Federal Opposition floated the idea of addressing this issue by raising the minimum wage to reflect a “living” wage. This would mean paying Australians the highest minimum wage in the world in order to ensure that low wage earners enjoy a standard of living commensurate to Australia’s greater economic success. While this certainly sounds like a good thing for the 1.2 million Australians who would be affected, it quickly becomes much more complicated when the affected industries are considered. While the economy has enjoyed significant growth, that growth hasn’t been symmetrical across industries. Many industries that employ minimum wage labour, most notably the retail industry, has experienced slowed growth for a number of years. Moreover, product prices have also remained stagnant. Regardless of a business’ absolute growth, this means that the productivity of any one employee, in terms of the revenue generated, hasn’t grown in recent years. This means, at least in part, that these businesses haven’t raised wages because they couldn’t afford to. Considering the mounting pressure they face, it’s clear that low wages in these industries aren’t the result of corporate greed. This is also evident in the failure rate of retail businesses, which has tripled since June of 2016. Experts are still debating about the reasons for slow overall wage growth in Australia. The lagging growth of specifically minimum wage and similarly low-wage incomes is less mysterious. Falling consumer confidence, decreases in net disposable income, and harsh online and foreign competition are taking their toll on the economy, and on Australian workers. While gross disposable income has continued to rise in Australia, costs have grown even more quickly. For years, Australians have been forced to tighten their belts as utilities prices rose. While home prices are dropping, and Sydney rent prices are going down for the first time since the mid 2000’s, many low and mid-income Australians simple can’t afford to consume as they did in the past. Instead, luxury purchases are increasingly paid for with savings and debt. This, more than anything, has impacted Australian consumer confidence, driving them to spend even more conservatively. Retail businesses in Australia and the rest of the world have been through a lot in the past decade. The rise of online retailers, culminating in the arrival of Amazon in the country, has put immense pressure on existing retailers of all sizes. Even large retailers, who benefit from significant economies of scale, are going into administration in record numbers. Businesses who have so far held on in the face of these conditions could easily be made insolvent by mandatory wage increases. This is especially prevalent among SME’s, where business owners are already visibly vulnerable. 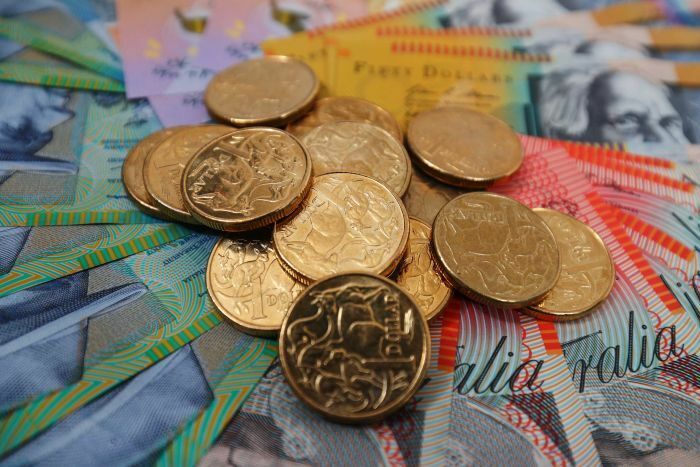 According to ASBFEO Kate Carnell, ATO data from 2017 already showed that 54 per cent of small business owners had incomes below the poverty line. Considering that these business owners can’t pay themselves as much as their own employees, it’s clear that they’re already at their limit. Even in ideal circumstances, this boost to the minimum wage could only increase the spending power of the 1.2 million Australians who already have the least impact on consumption in the economy. They would be able to spend more, but would still have relatively little effect on the economy overall. In order to revitalise consumer confidence and boost spending to the point that businesses need to drive economic growth, it’s the middle class backbone of the economy that needs to be empowered. This is the key to providing businesses with the revenues they need to grow, compete, and ultimately afford to raise wages for low-income workers. Considering that they’re a part of the demographic, business owners do empathise with the idea of ensuring that Australia’s lowest income workers earn a living wage. However, getting wages back on track in the country is not as simple as just raising the minimum wage. The government and businesses need to work together to find ways to boost disposable incomes across the population in order to make higher wages possible.